We are officially half way through summer holidays although it feels a little more like Bill Murray's Ground Hogs day minus the "I Got You Babe" waking my each morning. Today like yesterday and almost everyday I find myself cleaning doing laundry and ripping apart closets in an attempt to get my house clean so that when school starts again we will have some kind of managed chaos. After having a glass of wine with wonderful girl friends last night I took their sage advice to enlist the help of the built in work force in my house known as my children. 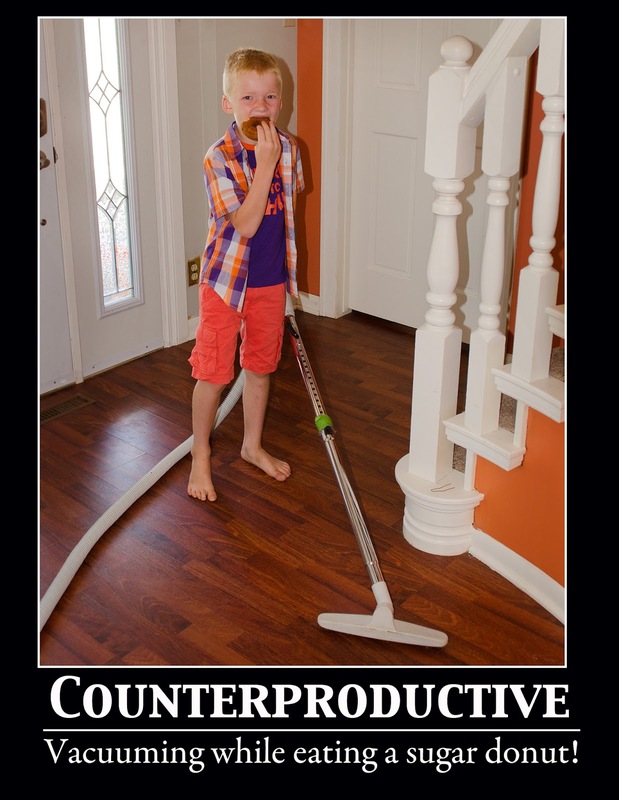 Although the teenager did not spring into action at 9 am like I had hoped I took great pleasure in vacuuming outside his door and in fact just stood there an extra five minutes just because I know it annoys him. Then I wrote a list and gave each child a couple of jobs by noon I realized that this picture was a metephor for the entire cleaning the house while my children are home it's two steps forward and three steps back. Sixty days keeping the peace, keeping it clean, keeping it together. I hope all you other Moms and Dads are surviving Summer holidays and maybe even thriving.The best part is if it gets really bad you can always go to the swimming pool. The kids are entertained and no one can tell you are crying! Here's looking forward to August, enjoying some time at the lake, finding my lost car keys and enjoying my clean house even if I have to get up at 6 am to see if clean!